Sugar is the generalised name for a class of sweet-flavored substances used as food. They are carbohydrates and as this name implies, are composed of carbon, hydrogen and oxygen. There are various types of sugar derived from different sources. Simple sugars are called monosaccharides and include glucose, fructose and galactose. The table or granulated sugar most customarily used as food is sucrose, a disaccharide. Other disaccharides include maltose and lactose. Regular or white sugar, extra fine or fine sugar: There are many different types of granulated sugar. Some of these are used only by the food industry and professional bakers and are not available in the supermarket. The types of granulated sugars differ in crystal size. Each crystal size provides unique functional characteristics that make the sugar appropriate for a specific food's special need. 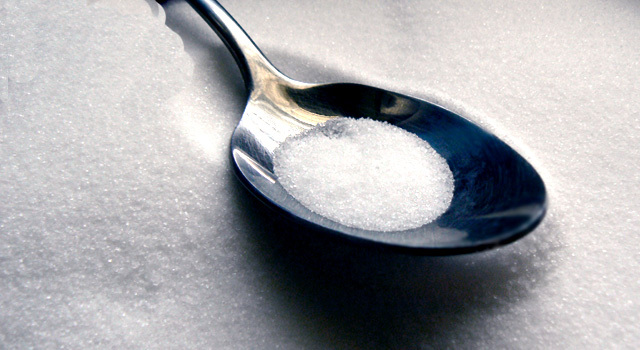 "Regular" or white sugar, as it is known to consumers, is the sugar found in every home's sugar bowl, and most commonly used in home food preparation. White sugar is the sugar called for in most cookbook recipes. The food industry stipulates "regular" sugar to be "extra fine" or "fine" because small crystals are ideal for bulk handling and not susceptible to caking. This sugar is raw sugar which has been partially processed, where only the surface molasses has been washed off. It has a blond color and mild brown sugar flavor, and is often used in tea and other beverages. 99.8 degrees Min 150 ICUMSA Max. By method GS 2/3 -10 0.08% Max 0.08% Max.